This post is sponsored in conjunction with ChristmasSweetsWeek. I received product samples from sponsor companies to aid in the creation of the ChristmasSweetsWeek recipes. All opinions are mine alone. This decadent, smooth Chocolate Hazelnut Truffle Tart made with a homemade Oreo cookie crust is a sweet, indulgent dessert perfect for the holidays. Welcome to day 2 of #ChristmasSweetsWeek 2018 hosted by Terri from Love and Confections and Christie from A Kitchen Hoor’s Adventures! You can read all about this weeks giveaway sponsors here. When it comes to baked dessert recipes I’m, well, not that great at them. Almost always, I mess something up. Not this time, people, not this time. 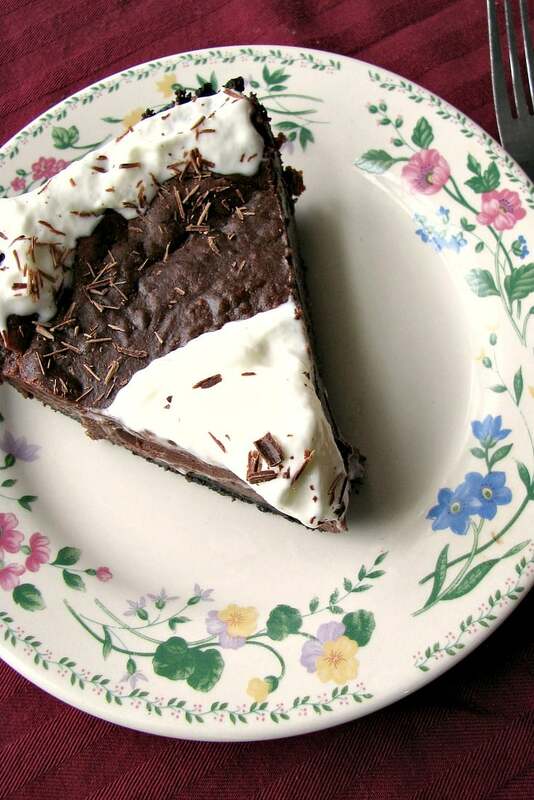 This Chocolate Hazelnut Truffle Tart was easy to make and came out like truffle candy. Top it with whipped cream and shaved chocolate and it’s amazing! I don’t actually own a tart pan, and it’s fine to use a pie pan instead, you just won’t be able to remove the tart from the pan whole. 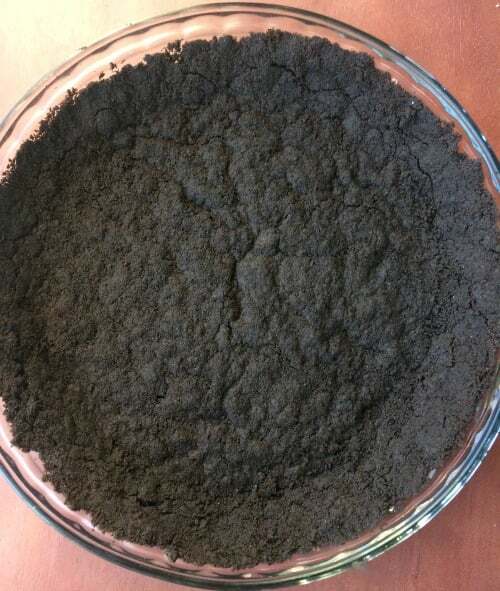 Do you need to remove the filling from Oreos before crumbling? No. I had this question myself, so I did some research. For this recipe, you will simply put 25 original Oreos in a food processor and process until fine. If you don’t have a food processor you can put the cookies in a plastic freezer bag and crush with a rolling pin, but you have to make sure they are fine crumbs. Then you will add butter to the crumb mixture and mix well. Press into a tart or pie pan and bake for 12-15 minutes at 350 degrees F.
While the crust is baking, combine sugar, semi-sweet chocolate chips, and LorAnn Oils Chocolate Hazelnut flavor extract. 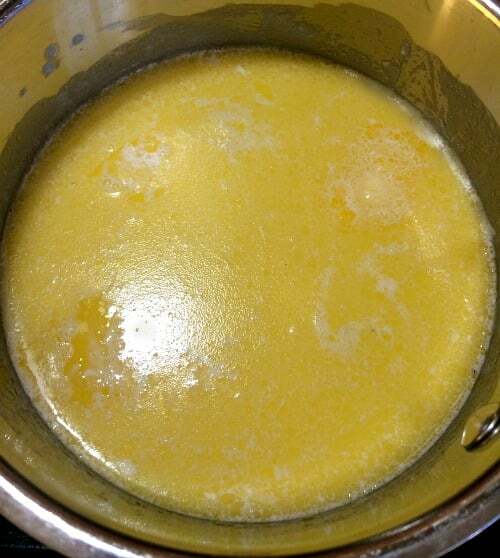 In a small pot heat heavy cream and butter over medium heat until just simmering. 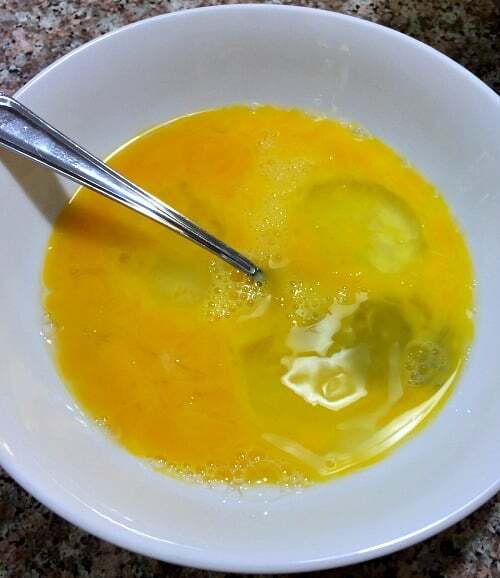 Lightly beat three room temperature eggs in a medium-size bowl. 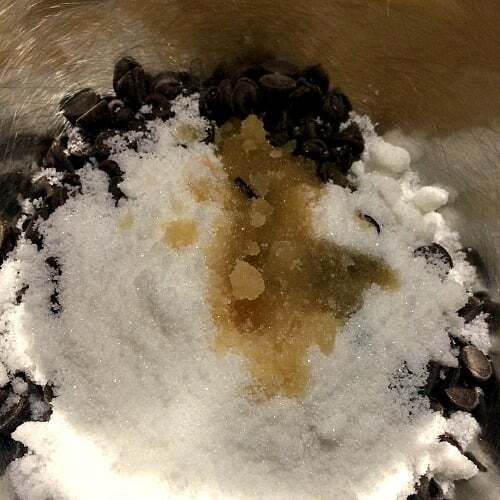 Pour the heated cream and butter over the chocolate chips, sugar, and extract. 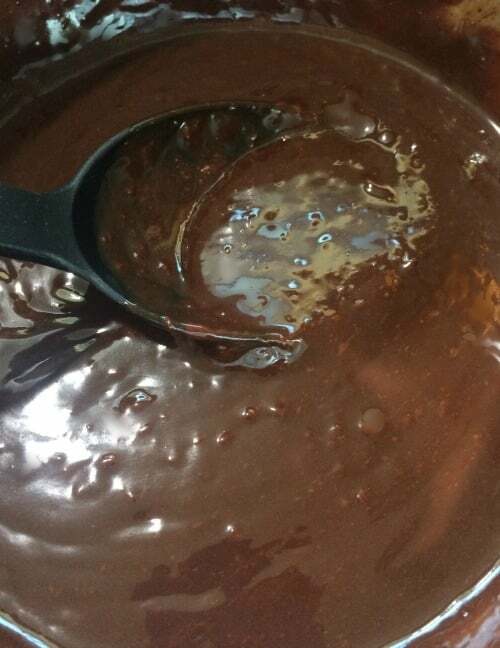 Stir until the chocolate is completely melted and sugar has dissolved. Pour about 1/3 of the melted chocolate mixture into the eggs, stir until combined, then pour the egg mixture into the remaining chocolate mixture and stir until smooth. Pour the mixture into the prebaked tart crust. Bake for 25-30 minutes or until the center is just set (the middle will jiggle). Cool completely on a wire rack. Cover and refrigerate until ready to serve. 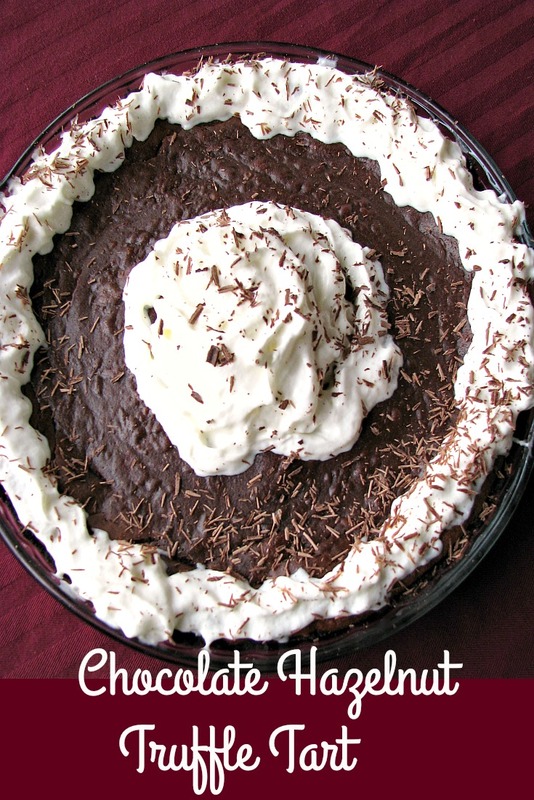 Top the chocolate hazelnut tart with whipped cream and shaved chocolate if desired. This recipe is adapted from Taste of Home Holiday Baking Collectors Edition, Winter 2018, page 86, Chocolate Mint Truffle Tart. Read on after the Chocolate Hazelnut Truffle Tart recipe to see all the other #ChristmasSweetsWeek recipes shared today! 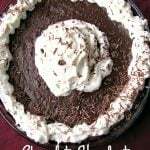 This decadent, smooth Chocolate Hazelnut Truffle Tart made with a homemade Oreo cookie crust is a sweet, indulgent dessert perfect for the holidays. Put the cookies in a food processor and process until fine. If you don’t have a food processor, put the cookies in a plastic freezer bag and crush with a rolling pin until fine crumbs. Add butter to the crumb mixture and mix well using the food processor or by hand. Press evenly into a tart or pie pan and bake for 12-15 minutes. 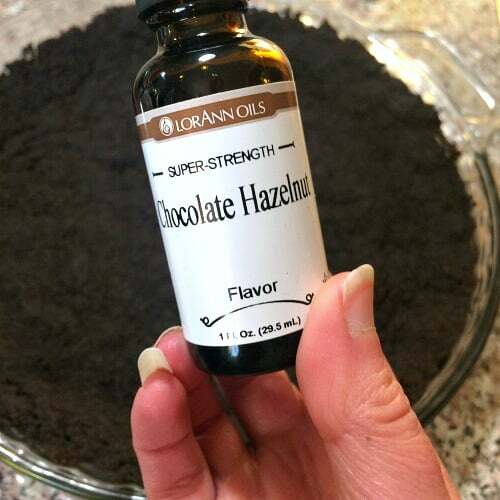 While the crust is baking, combine sugar, semi-sweet chocolate chips, and LorAnn Oils Chocolate Hazelnut flavor extract in a large mixing bowl. Pour the mixture into the prebaked tart crust. Bake for 25-30 minutes at 350 degrees F, or until the center is just set (the middle will jiggle). Cool completely on a wire rack. Cover and refrigerate until ready to serve. Top the tart with whipped cream and shaved chocolate if desired.